FLASH SALE!!! MAKING WAY FOR NEW EXCITING THINGS! RRP USUALLY $25!!! 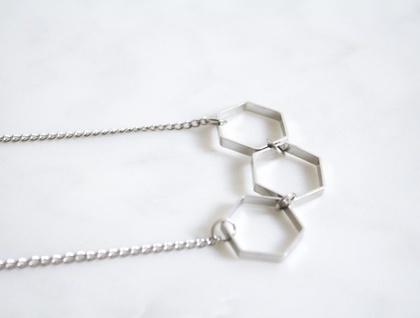 This necklace is inspired from the simple beauty of tessellations, and the ease it brings to an outfit. The brass shapes are cut from thick raw brass tubes, coated in silver and gold plating. When worn they fall just like bunting, adding a little somethin’-somethin’ to any outfit. The necklace sits low on your chest and the chain is 58cm. 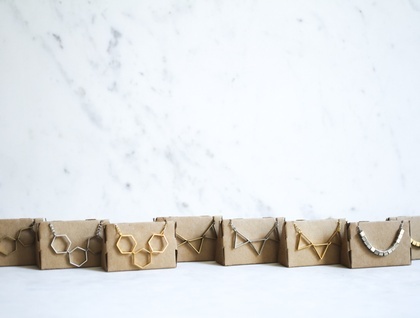 Available in brass and gold, as well as triangular bunting. 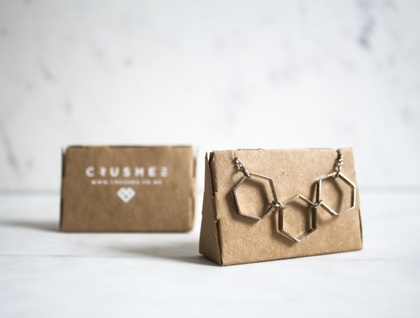 The clever packaging doubles as a display and a gift box. 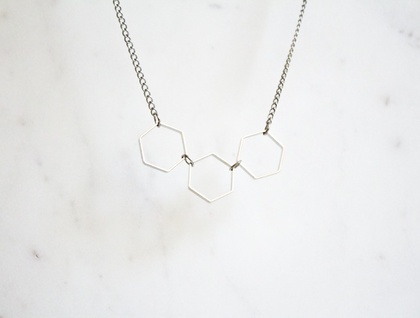 Available in gold and brass, as well as a gold triangle bunting necklace.